A skeletal implementation of InternalLogger. Logger factory which creates an Apache Commons Logging logger. Logger factory which creates a JBoss Logging logger. Logger factory which creates a java.util.logging logger. 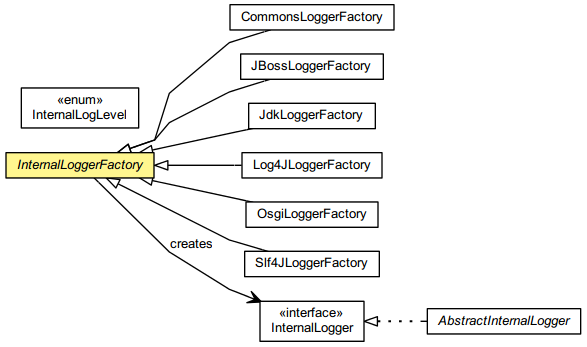 Logger factory which creates an Apache Log4J logger. Logger factory which creates an OSGi LogService logger. Logger factory which creates a SLF4J logger.